oooooooh!!!! CUTE!! a nice addition to the table top!! What fun, I love to see where our cat sits. Oh, what a great shot! How adorable! I love this – thank you for sharing. Very cute! I agree, it’s fun to be up high and able to see everything! the first thumbnail in the gallery that caught my eye. I love this! Very funny. 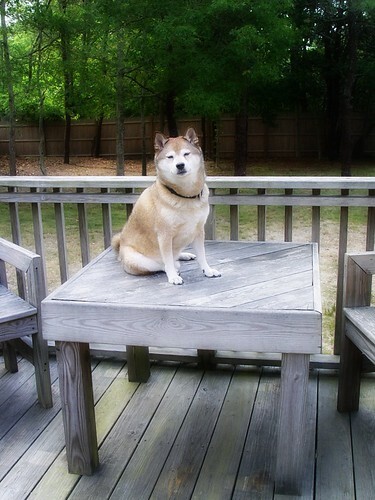 I recently participated in an agility session with my dog, and one activity was “table”. He wouldn’t get on it!